When you give one of IASpromotes.com’s promotional journals or diaries, you are helping to preserve their memories, feelings, and ideas. People both young and old can appreciate a custom printed journal book because of its nostalgic nature. They will keep their special custom diary close to their heart all the time. 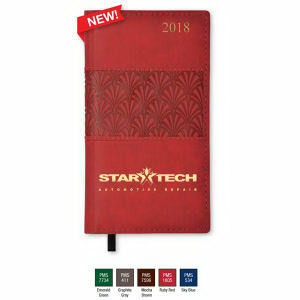 Families and professionals will also use these customized journals to preserve personal memories and jot down ideas from their corporate trips. Our custom promotional journals are necessary products for any business or school, and are a wonderful giveaway item at events. Whenever a great idea strikes, write it down in one of our many high quality custom printed promotional journals, diaries or memo books. Imprint whichever style you like with your organization’s name, logo and contact information for a wonderful keepsake item.